In 2019, April 23 is the expected peak morning. There will be a bright waning gibbous moon in the sky. Want to make the most of this year’s Lyrid meteor shower? Here’s how. 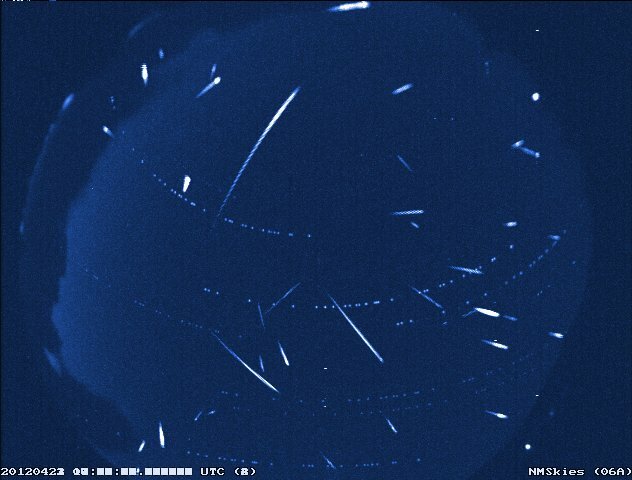 Composite image of Lyrid and not-Lyrid meteors over New Mexico from April, 2012. Image via NASA/MSFC/Danielle Moser. The annual Lyrid meteor shower is active each year from about April 16 to 25. 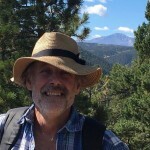 In 2019, the peak of this shower – which tends to come in a burst and usually lasts for less than a day – is expected to fall on the morning of April 23, under the light of a bright waning gibbous moon. Should you skip the shower? Well, maybe. But we’re already hearing from skywatchers who don’t plan to skip it, especially after the months-long meteor drought that always comes between early January and the Lyrid shower each year. There are no major meteor shower during those months, as you can see by looking at EarthSky’s meteor shower guide. So, many meteor-watchers are itching to get going, and it’s unlikely moonlight will dampen their enthusiasm. No matter where you are on Earth, the greatest number of meteors tend to fall during the few hours before dawn. Keep reading to find some tips for watching the 2019 Lyrids in moonlight. Tip #1: Learn about this shower’s radiant point. If you trace the paths of all the Lyrid meteors backward, they seem to radiate from the constellation Lyra the Harp, near the brilliant star Vega. This is only a chance alignment, for these meteors burn up in the atmosphere about 60 miles (100 km) up. Meanwhile, Vega lies trillions of times farther away at 25 light-years. 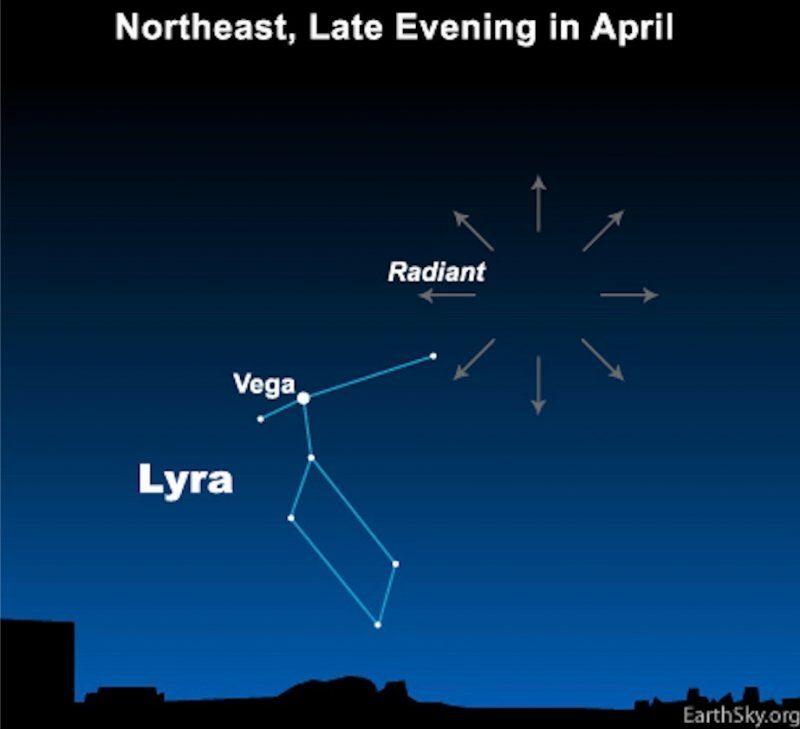 Yet it’s from Vega’s constellation Lyra that the Lyrid meteor shower takes its name. Lyrid meteors radiate from near the bright star Vega in the constellation Lyra the Harp. You don’t need to identify Vega or Lyra in order to watch the Lyrid meteor shower. The meteors radiate from there, but will appear unexpectedly, in any and all parts of the sky. All you need to know about a meteor shower’s radiant point is its rising time. That’s because the shower starts (for the most part) after the radiant rises. It’s best (generally speaking) when the radiant is highest in the sky. 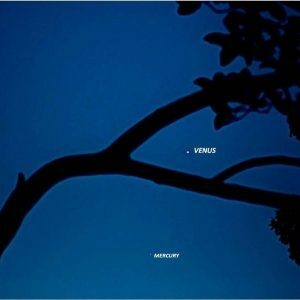 Around the Lyrids’ peak, Vega rises – in the northeast – around 9 to 10 p.m. local time (the time on your clock, from all Northern Hemisphere locations). It climbs upward through the night, is fairly high by midnight, and is highest just before dawn. But, in 2019, the moon will be up before dawn, too. So try – this year – watching in the early part of the night. There will be a brief window between the time the radiant rises in mid-evening and moonrise around midnight. You might see some meteors during these evening hours, and, in particular, the evening hours are the best time to catch an earthgrazer, which is a slow-moving and long-lasting meteor that travels horizontally across your sky. Tip #2: Observe from the country, away from city lights. Tip #3: Place yourself in a moon shadow – maybe the shadow of a barn – and let your eyes become as dark adapted as possible. Tip #4: Watch for meteors streaking along in the moonlight. That will be only the brightest ones, but even one bright meteor can make your night, plus sometimes they lead to cool photos! In a moonless sky, you might see from about 10 to 20 Lyrid meteors an hour at the shower’s peak. How many will you see in 2019, under the light of the moon? No one can say. A fireball meteor falling earthward, courtesy of NASA/George Varros. During a meteor shower, earthgrazer fireballs are most often seen in the early part of the night. Here are some other cool facts about the Lyrids. The Lyrids have been known to have outbursts. For example, in 1982, American observers saw an outburst of nearly 100 Lyrid meteors per hour. Japanese observers saw around 100 meteors per hour in 1945, and Greek observers saw that number in 1922. No Lyrid outburst is predicted for 2019, but you never know. About a quarter of Lyrid meteors leave persistent trains. A meteor train is an ionized gas trail that glows for a few seconds after the meteor has passed. Do not do to others what you do not want done to yourself. I wonder if Confucius saw any Lyrid meteors … it’s possible! 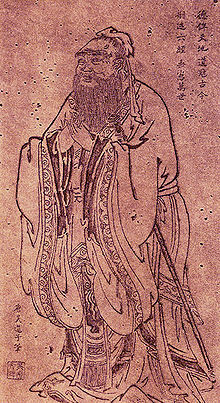 Portrait of Confucius. Was he a meteor-watcher? Comet Thatcher (C/1861 G1) is the source of the Lyrid meteors. Every year, in late April, our planet Earth crosses the orbital path of this comet. We have no photos of it because its orbit around the sun is roughly 415 years. Comet Thatcher last visited the inner solar system in 1861, before the photographic process became widespread. 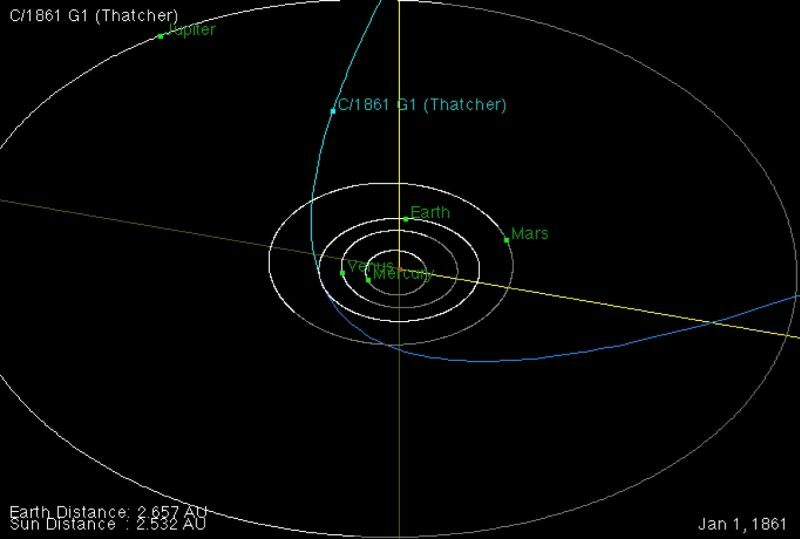 This comet isn’t expected to return until the year 2276. Bits and pieces shed by this comet litter its orbit and bombard the Earth’s upper atmosphere at 110,000 miles per hour (177,000 km/h). The vaporizing debris streaks the nighttime with medium-fast Lyrid meteors. It’s when Earth passes through an unusually thick clump of comet rubble that an elevated number of meteors can be seen. Comet Thatcher on January 1, 1861, the year of its last (and only) observed return. Image via JPL Small-Body Database. Bottom line: The Lyrid meteor shower offers 10 to 20 meteors per hour at its peak on a moonless night. 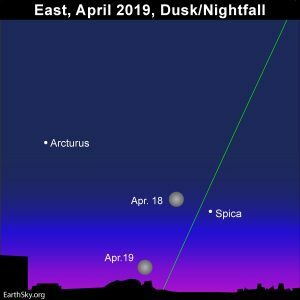 The peak numbers are expected to fall on the morning of April 23, 2019, but under the drenching light of a bright waning gibbous moon. Tips for watching the Lyrids in moonlight, here.